Category: Prohormones Tag: Powersupps UK Brand: Andro Factory. LEAN-CUT – TIGHTER! HARDER! FASTER! The Strongest Legal method of a natural conversion to Anabolic Steroids. LEAN-CUT paves your way to a flatter stomach, tighter muscles and reduced bloating. With ANDRO FACTORY’s added signature Cycle Protection and Recovery blend (CP+R) all synergistically balanced, brings a new player in the race to lean muscle mass and a harder leaner body. So if you want that famous GQ look. You know the no body fat, chiseled, tan, no body fat, muscular, no body fat…well you get the picture. LEAN-CUT can help with the flatter stomach, tighter muscles, lower body fat and reduced bloating. Best suited for improving aesthetic appeal and overall attractiveness LEAN-CUT is more of your slimming, tightening, hardening supplement. The overall result is a body that looks a little closer to that of a GQ model. 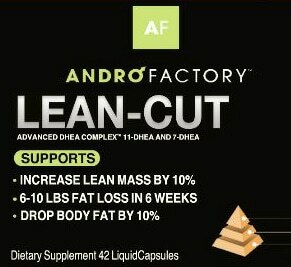 The research used to formulate ANDRO FACTORY’s fat loss enhancing LEAN-CUT and The Stack make it the most effective advanced fat loss product that you can buy safely, legally and without a prescription. LEAN-CUT provides amazing results from which every man can benefit. DHEA in general is commonly known as the anti-aging wonder drug of the century. But DHEA handled properly can result in higher DHT levels. Blood tests have revealed that when formulated properly these androgens can boost DHT levels by 3.5 times within 6 hours of a single 6 softgel dose. 11-DHEA is a super refined anabolic — it can build pure lean muscle by promoting the growth of dense myofibers. This is ideal for enhancing the shape of muscle. 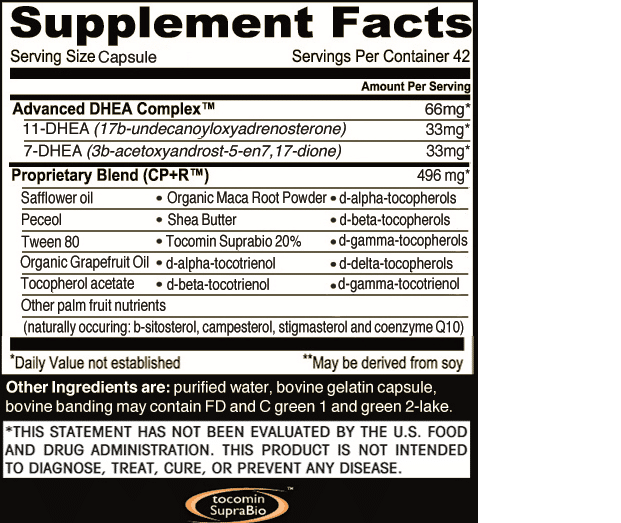 7-DHEA can accelerate weight loss, increase metabolism, enhance memory, or slow down age-related changes. Virtually every aspect of LEAN muscle growth is initiated in LEAN-CUT. Leaving nothing to the imagination LEAN-CUT makes sure that all aspects of its delicately balanced DHEA Complex is moving towards tighter, harder and leaner muscles. Some of these effects such as the increased nuclei, myoblasts, and blood vessels can stick around for the rest of your life. Nuclei are essential to support the growth of new muscle tissue. The muscle tissue that is accrued when you are on androgens, gains an increased number of nuclei, compared to training naturally. Research suggests that the “extra” nuclei obtained from androgen use, stays elevated in muscle tissue, even after discontinuation of androgens — and thus protects the muscle tissue from muscle loss after discontinuation of exercise. Increased nuclei also maximizes the potential for growth in response to retraining. The increased nuclei and newly obtained muscle fibers (myoblasts), are retained for years, if not permanently.